(Latin: nanos gigantium humeris insidentes) is a Western metaphor meaning “One who develops future intellectual pursuits by understanding the research and works created by notable thinkers of the past. Lungssss, get yer lungs here! 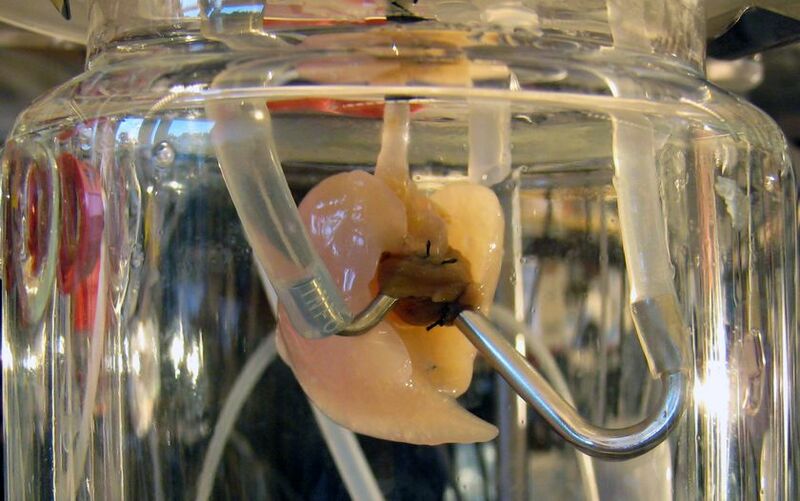 Soon enough, organs grown from YOUR OWN stem cells will be available at a store near you. What began as the outlandish quest of one woman in 1998…one woman who swam against a huge tidal flow of scientists and doctors telling her she was out of her mind…is now, almost 20 years later, hitting mainstream science, academia and media. 1998 – Dr Doris Taylor takes stem cells from the thigh of a rabbit, injects them into scar tissue in the animal’s heart and repairs the damaged muscle. Published in Nature Medicine. 2002 – Dr Taylor herself witnessed, in Rotterdam, the first patient in the world to get stem cells injected through a catheter into the wall of the heart. Encouraging results began to come in—improved ejection fractions, reduced diameters, thicker muscle tissue. 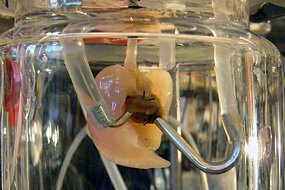 2005 – Advancements continue as Dr Taylor rinses rat hearts with detergent until the cells washed away and all that remained was a skeleton of tissue translucent as wax paper. She then injected the scaffold with fresh heart (stem) cells from newborn rats. Four days later, “We could see these little areas that were beginning to beat. By eight days, we could see the whole heart beating.” The experiment, reported in the journal Nature Medicine, marked the first time scientists had created a functioning heart in the lab from biological tissue. Read it again! Doctor Doris Taylor grew a new heart in a lab 5 YEARS AGO! American researchers have provided some hope for the hundreds of Australians languishing on organ-transplant waiting lists. Doctors at the Harvard Medical School have used stem cells to construct a miniature lung, which functioned for up to six hours when transplanted into a rat. Lung transplant specialists say the research is a significant breakthrough in efforts to develop ways to expand the organ donor pool. For the 50 million people worldwide with end-stage lung disease, the only definitive treatment is a transplant. Kate Hayne, 66, waited four years for a double lung transplant after she was diagnosed with bronchiectasis. “You’re waiting for the phone to ring and it doesn’t ring and you’re life is getting narrower and narrower because you can do less and less and less,” she said. “You’re basically waiting to die … and a lot of people do die. It is hoped the research by the Harvard Medical School in Boston will go some way towards improving the chances of survival. Dr Harald Ott and his team removed the cells from a rat lung and rebuilt the organ blueprint using human umbilical and foetal rat cells. 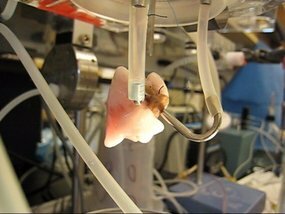 Within about a week that lung began exchanging oxygen like normal lungs and was transplanted into a rat where it continued functioning for six hours. “There’s a lot of work to do in up scaling this now from rats to human-sized organs,” he said. Professor Allan Glanville, the medical head of lung transplantation at Sydney’s St Vincent’s Hospital, says specialists in Australia are watching with interest. “This is extraordinarily exciting work and it lays the groundwork for the beginning of the development of a inartificial lung that might benefit so many people,” he said. Dr Michael Musk, who heads the West Australian Lung Transplant program, agrees the research is a huge step forward. “It hopefully means we don’t need the degree or amount of immunosuppression required, which is associated with a lot of side effects,” he said. The research is published today in the journal Nature Medicine (see Technical Report abstract below). via Stem cell scientists unveil lab-grown lung – ABC News (Australian Broadcasting Corporation). About 2,000 patients now await a donor lung in the United States. Worldwide, 50 million individuals are living with end-stage lung disease. Creation of a bioartificial lung requires engineering of viable lung architecture enabling ventilation, perfusion and gas exchange. We decellularized lungs by detergent perfusion and yielded scaffolds with acellular vasculature, airways and alveoli. To regenerate gas exchange tissue, we seeded scaffolds with epithelial and endothelial cells. To establish function, we perfused and ventilated cell-seeded constructs in a bioreactor simulating the physiologic environment of developing lung. By day 5, constructs could be perfused with blood and ventilated using physiologic pressures, and they generated gas exchange comparable to that of isolated native lungs. To show in vivo function, we transplanted regenerated lungs into orthotopic position. After transplantation, constructs were perfused by the recipient’s circulation and ventilated by means of the recipient’s airway and respiratory muscles, and they provided gas exchange in vivo for up to 6 h after extubation.